The Muela Group consists of two companies Manufacturas Muela, SA and Comercial Muela, SA Comercial Muela was established in 1985 with the initial goal of engaging in marketing in Spain of own products, but later taking advantage of the infrastructure that was created , he joined the wholesale distribution of articles for the hardware, gift, sports, adventure, cutlery or armories. 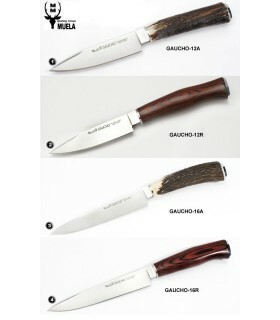 Manufacturas Muela has its main base in sports cutlery. Manufacturas Muela has modern technical, industrial and commercial facilities, capable of handling large orders coming from all over the world, reserving a plot of its production for pieces in which the artisan touch continues showing its prized difference however compared to other manufacturers. The most valuable parts of the house are those that make up the "limited series" combining craftsmanship and taste for tradition. Hence the materials used for making them are carefully selected for this spectacular result, "jewels" aimed at collectors and connoisseurs. 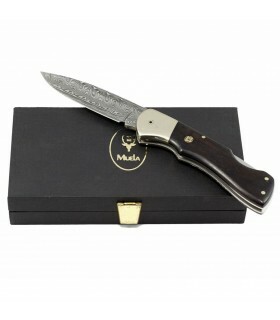 Currently, Muela is the first sign of sporting knives in our country and a fundamental reference in the international arena within the sector, with their knives and blades very appreciated for its quality and beauty. 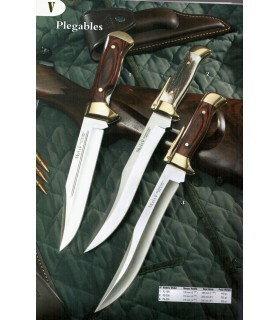 Exhibitor knives and blades for 2 pieces. Made of wood. NO includes knives. 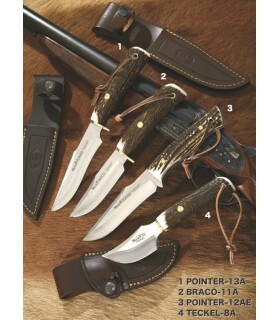 Exhibitor knives and blades for 1 piece. Made of wood. NO includes knife. 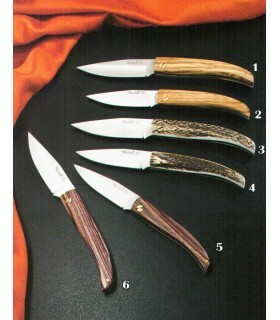 Knives with different layers of olive wood, stag horn or rosewood. 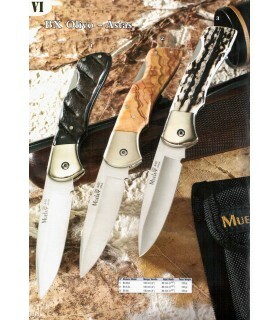 Exhibitor knives and knives for 3 pieces. Made of wood. NO includes knives. Exhibitor knives and knives 4 pieces. Made of wood. NO includes knives. 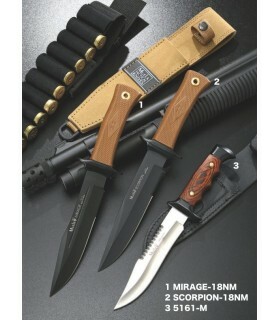 Knives with Mirage-18NM Teflon sheet, handle and sheath desert; Knife with Scorpion-18NM Teflon sheet, handle and sheath desert and knife handle 5161-M Zamak handle in black and hardboard. 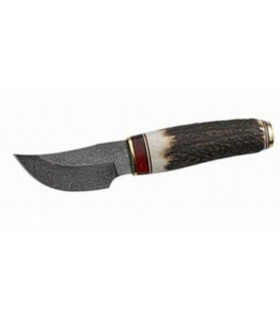 Full tang knife with deer horn handle and brass. Stainless steel sheet Damascus, using two kinds of powder metallurgy steel (RWL34 and PMC27) and joined together at 1150 ° C and a pressure of 1000 atmospheres. Mango 85mm (3 5/8 "), Page 70 MM (2 3/4"). Weight 85 GR. Ranger knife made of red wood and brass. 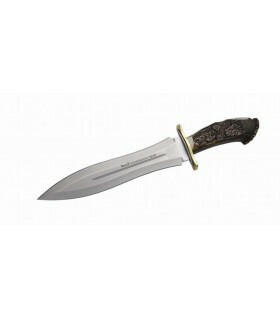 African knife with handle of stag horn and Damascus steel blade. 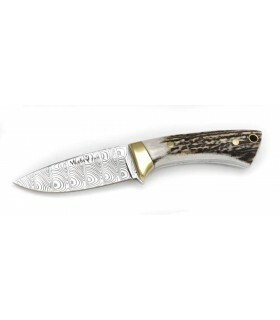 Lock knife with stainless steel blade and wooden handle Damascus. 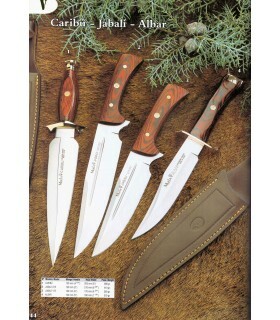 Caribú hunting knives, wild boar, albar. 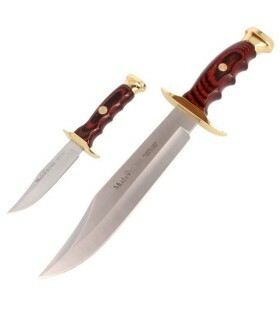 The Caribú knife with red brass wood handle. The boar knife is a piece with red wood scales. 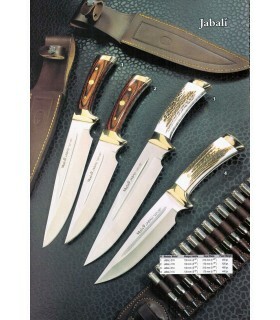 And the knife model Albar has the fist of red wood and brass. 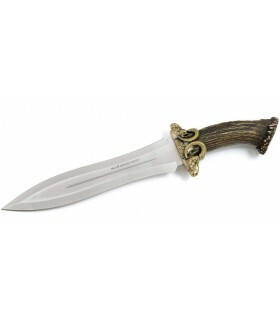 Knife with horn handle carved deer (wild boar scene) with rosette and defense brass and stainless steel. Mango 130mm (5 "). 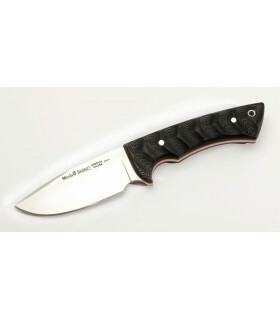 Blade 260mm (10 3/4"). Weight 650 GR. Mouflon luxury knife top with staghorn grip and stored in completely handmade brass by the lost wax technique. Mango 145mm (5 1/2 "). Blade 260mm (10 3/4"). Weight 630 GR. 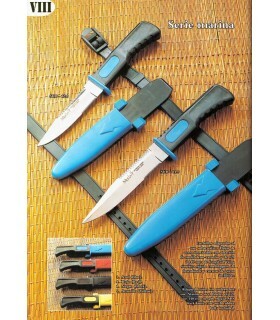 Knives adapted to underwater use with rubber grip, stainless steel blade with molybdenum-vanadium alloy and 120 or 140 mm The sheath is rigid synthetic cn locking holsters and rubber straps included. 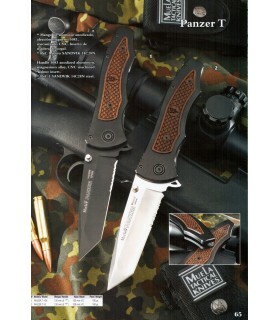 Panzer knife handle anodized aluminum, magnesium alloy 5083, CNC machining. Insert walnut and broken glass. 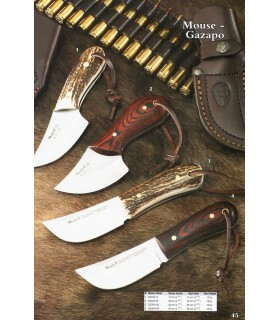 Flaky and one-piece knives from the Mouse series and one-piece knives from the Gazapo series. Both of Muela. 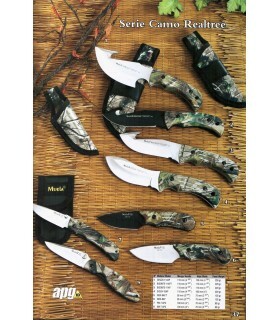 Camo Realtree camouflage knives from Muela. With 440 stainless steel blade. 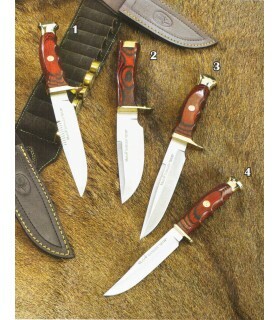 Single-tornado knives with teflonada leaf and case. 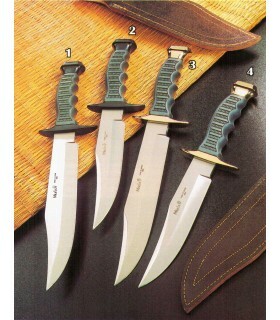 Knives with handles desert engineering polymer PBT + fiberglass and Teflon sheet. 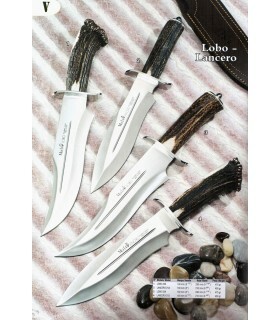 Set 2 Knives Kangaroos hunting + kangaroo case.BW-22Sheet length: 220 mm.Handle length: 125 mm.Weight: 465 gr.BW-10Sheet length: 100 mm.Handle length: 95 mm.Weight: 125 gr. 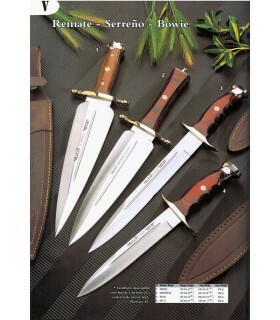 RANGER Bowie hunting knife with olive wood handle with brass knob defense. 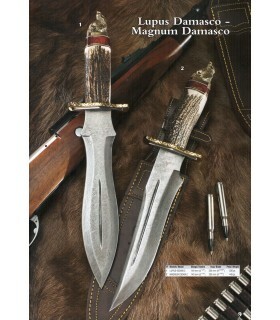 Mango 125 mm (4 7/8 "blade 145 mm (5 5/8") and weight of 185 grams. 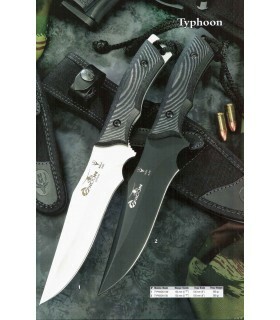 Single-piece Typhoon knife with black micarta handle. 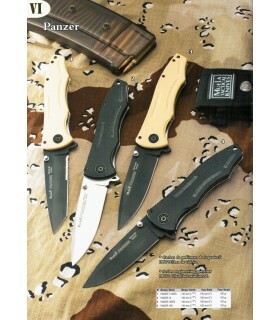 Full camouflage knives with steel blades 440 in satin or teflonado. 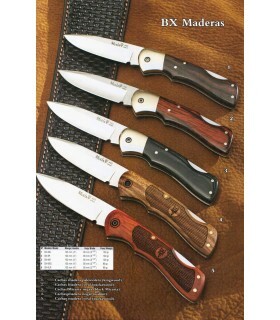 BX series knives Cn wood woods and micarta. All in stainless steel 440. 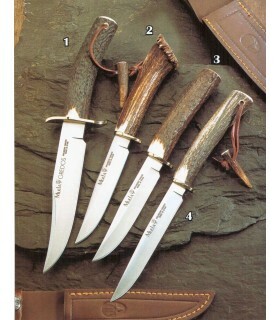 Pocket lock knives from the Olivo-Astas de Muela series. 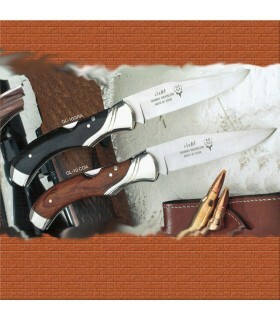 Folding knives with wooden handle or deer and brass horn. 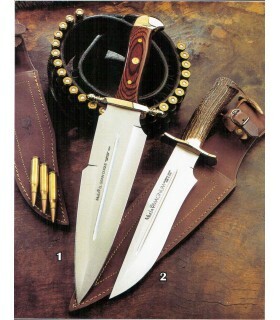 One-piece knife and fist knife both with deer antler handle. 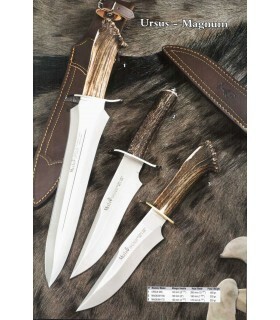 Fist knife and one-piece series Grand Duke with handle of stag horn. 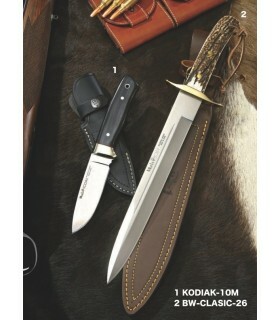 Kodiak-10M with knife blade and black micarta integral handle and BW-Clasic-26 with tang blade and handle staghorn and brass, the prestigious Spanish factory Muela. 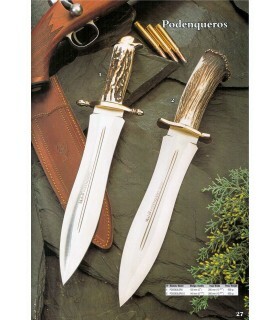 Hunting knives Muela (Spain) of the Gaucho line with stainless steel sheets. 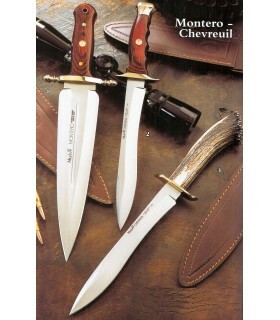 and deer horn handles (Ref: GAUCHO GAUCHO-12A Y-16A) or wood spider (Ref: GAUCHO-12R and 16R-GAUCHO). 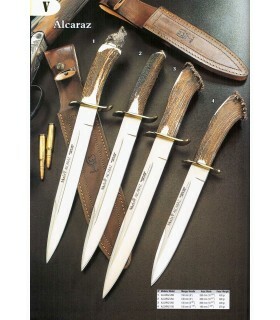 Knives cn fist deer antler of the magnum-Alcaraz de Muela series. 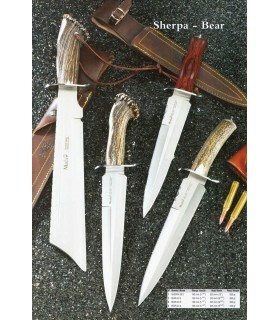 Machete and hunting knives sherpa-Bear de Muela with stainless steel crosshead. 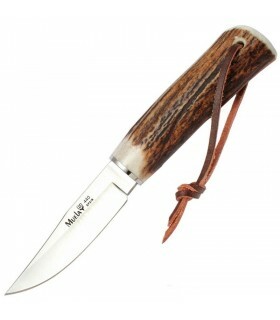 Muela Hunting knife, blade 8 cms. 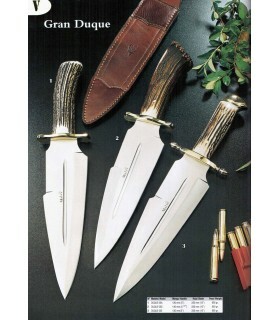 Hunting knife manufactured by the prestigious Spanish house Muela, the blade is 440 steel with a length of 8 cm. 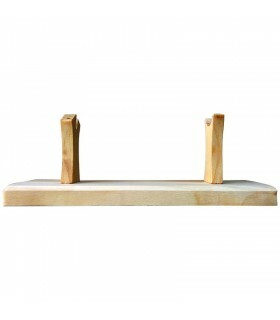 The handle is stag and measures 10 cms. 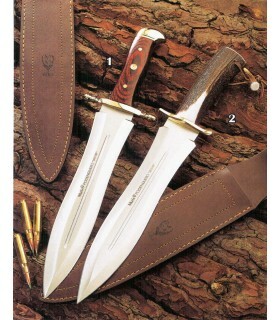 It includes brown leather sheath. 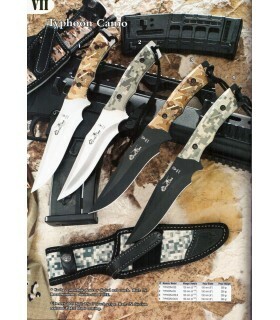 Rhino Tactical knife, blade 10.2 cm. 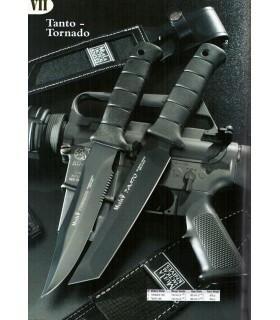 Tactical Knife Muela (Spain) from the Rhino line with stainless steel sheet. Sandvich and mango with black Micarta handle beveled with red separators. 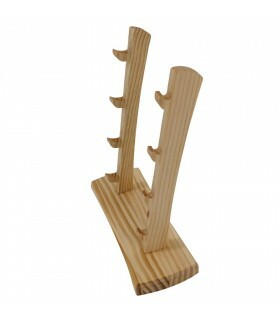 The blade length is 10.2 cms (filo 9 cms.) And 4 mm. of thickness. 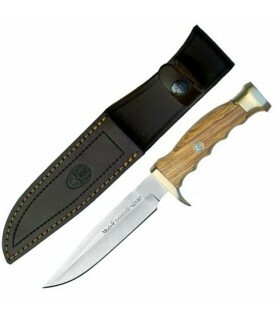 It includes leather sheath with optional vertical or horizontal anchor. 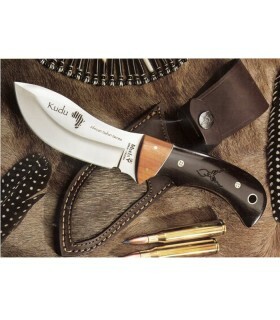 Hunting knife Muela (Spain) from the Kudu line with 14C28N Sandvik steel blade 100 mm. long on nitrogen supply for maximum quality assurance. 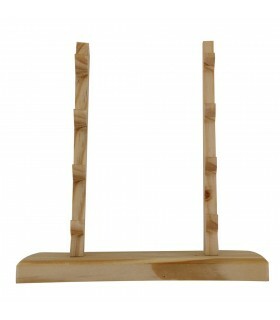 Handle and ferrule of precious wood, blackwood and asteropeia of Madagascar. Engravings by laser beam on wood and metal. Only 1,000 numbered copies were manufactured.